Logo Patches: As our premier specialty, Flexsystems manufactures PVC labels, rubber patches, emblems and badges that can be bonded to or sewn on a variety of products. 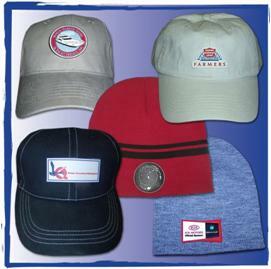 Our three-dimensional labels and patches are a unique way to customize an assortment of items, including uniforms, hats, bags, pad folios and more. Additionally, one of the best parts of our customizable products is that you can use them in diverse ways, such as morale badges that recognize your team’s accomplishments. At Flexsystems, we know that your logo is an integral part of your company’s culture, and that any items that feature it need to represent the quality your business stands for. That’s why so many national brands have turned to Flexsystems when they need promotional materials. Custom Rubber Keychains: When it comes to promotional products, there are hits, misses and then there are the tried and true items that are both fun and useful. Key chains are one of the few promotional items that may actually see some use from your clients and customers, and anything that keeps your brand visible and present is well worth the investment. At Flexsystems, our soft, flexible 3D keychains are an excellent tool for spreading your logo, whether at industry conferences or to everyday customers. Custom Plastic Parts: Flexsystems strives to provide businesses and entrepreneurs with the tools they need to succeed, which is why we are always working to craft the custom products that help industries grow. We constantly push the envelope so that our products dynamically meet the needs of our clients. Are you not seeing something on our site that you need? Do you have a new idea for a custom plastic product or logo, but need help bringing your concept to fruition? We can help. Just contact us, and our team will work with you to create the perfect product that you are looking for. Flexsystems is an American company that takes pride in helping fellow businesses grow by providing quality promotional products that truly reflect quality craftsmanship. We invite you to browse our many product lines and discover how we can help your company today.